Adding a smoking cessation incentive into your wellness program is a great way to encourage more participation and better the lives of employees at your company. Incentives for any area of your wellness program can be a helpful tool in peaking interest and providing motivation for engagement. Many employees would like the opportunity to get some quality help and resources in their quest to quit smoking, but may need even more encouragement than simply knowing the health benefits. 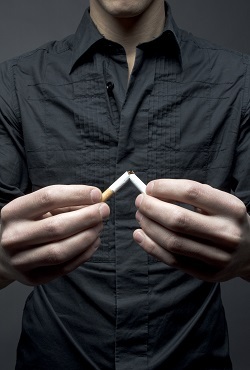 A smoking cessation incentive can take on a variety of forms. Participants could receive anything from greater discounts on health insurance costs to extra paid days off of work or gift cards to healthy grocers or gyms. No matter what the incentive, the goal is the same. Helping people push towards healthier, smoke free lifestyles. Wellworks For You is a Pennsylvania-based company that assists clients of all shapes and sizes in the development, implementation and management of corporate wellness programs. Wellworks For You also provides services for interested groups and individuals outside of company settings. We offer programming of all kinds and specialize in creating custom designed programs for each of our clients to produce the best results. One of our focuses from our start has been on smoking cessation incentives and campaigns. We currently offer a unique 6-week program for interested participants that combines a variety of helpful resources, challenges and incentives to aid employees in reaching this important goal. Onsite speakers, health coaching, specially designed classes and practical skills teaching are all part of this effective approach. Providing this opportunity for your employees may be one of the best decisions you ever make! When you genuinely care about the wellbeing of your employees, everyone benefits. The company will grow stronger as a result of a healthier and happier workforce. You will have grateful, more loyal workers and enjoy the benefits of positive ROI and lower health insurance costs. To learn more about Welworks For You’s smoking cessation incentive program or any of our other unique campaigns and services, please feel free to contact us today! We look forward to personally getting to know your needs and providing quality solutions that will help change people’s lives for the better. We are passionate about equipping both individuals and entire companies with the tools they need to make the right choices, stay on the right track, live healthy lives and enjoy the benefits of overall wellness.